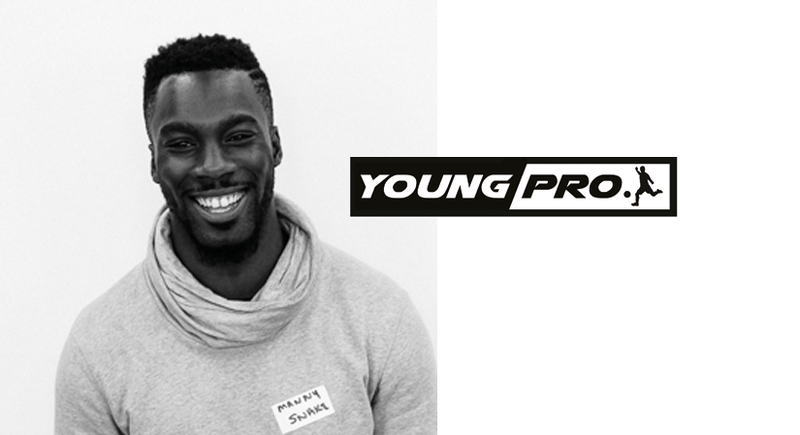 Manny Boateng is the founder of Young Pro Magazine, the home of Youth Football and a recent graduate of London Met University. After taking part in our Launchpad programme he went on to launch his business aimed at young footballer pros and is now based in the Hatchery, Accelerator’s startup space. 1. What did you study? Business and entrepreneurship at London Metropolitan University. 2. How did you come up with the idea for YoungPro Magazine? A couple years ago, one of my friends told me that less than 3% of elite youth athletes make it to the pros and I was completely shocked. It’s crazy because most of these kids are actually really talented and hard working. One of the main reasons why the success rate is so low is that the industry doesn’t cater to the needs and development of grassroots football. I created YoungPro to solve this problem. 3. What did you get from taking part in Launchpad? Launchpad is by far one of the best decisions I’ve ever made in my life. It’s amazing! I would honestly not be where I am today with the business if I didn’t participate. It provided me with a ton of opportunities to meet experts who have not only helped me launch my venture, but also raise capital and develop a strategic road map. Because of Launchpad, I knew that my startup idea was commercially viable. Right now, the YoungPro team consists of six people with different roles such as editing, operations, writers, and we even have a football coach. To improve the standard of grassroots football by catering to the Wellness, Fitness, and Finesse of youth athletes. 6. What is YoungPro Magazine’s advantage over its competitors? YoungPro’s advantage is that we cater specifically to young athletes. Our online magazine covers the most up-to-date and relevant news around grassroots football. 7. What is the toughest decision you had to make in the past few months? Up to date, the hardest decision for me was cutting down the team. We had to let one of our members go. 8. What’s your vision for the business? Our vision is to both improve the industry – so that more elite youth can become professionals – and become the go-to-place for grassroots football. 9. What are you most looking forward to in the next few months? I’m really excited for the upcoming magazine issue that’ll actually be coming out soon. 10. Why did you choose Accelerator? Because of (1) the Launchpad programme, (2) it’s strategic location in Shoreditch, and (3) the excellent space.